So why do so many learning and development efforts to change employee behavior fail? Performance improvement is a complex enterprise. There’s no single answer. But one reason for our discipline’s spotty record of success is that traditional learning and development, with its focus on competency gaps and skill building, is too small a box to encompass the complexities of employee behavior and business performance. While it is common for learning professionals to acknowledge that training does not equal performance improvement, the basic methodologies of learning and development have arisen exactly out of a training paradigm. And the training program bias is reinforced by the fact that training is frequently what executives, peers and employees expect from a learning and development team. Even for people who know better, it is difficult to escape the gravitational force of the training world view when attacking performance problems. We are told the sheep smell bad. So we dip them in soapy water, scrub them, rinse them and give them a quick sniff to make sure they smell better. Then we send them on their way—back to the same smelly pen that they were in before. And we wonder why, despite our best efforts, the sheep still don’t smell like roses. 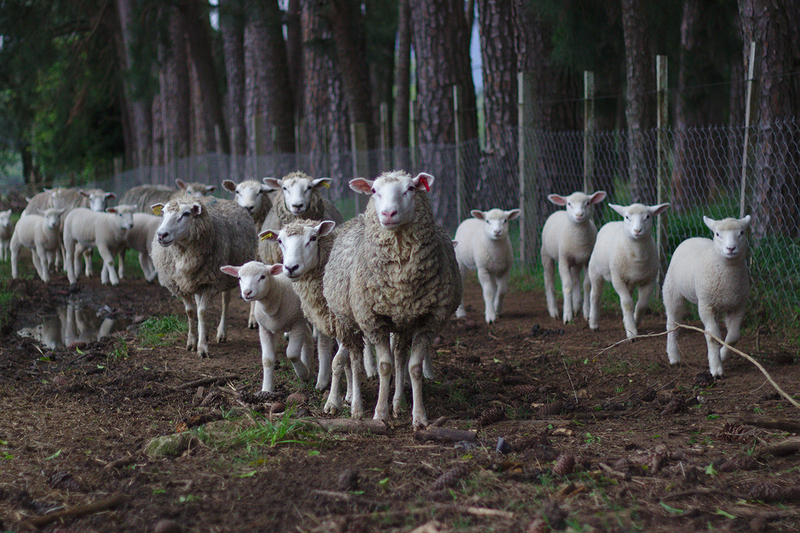 I call learning and development’s focus on employee skill gaps the “sheep cleaning” model of performance improvement. We are told the sheep smell bad. So we dip them in soapy water, scrub them, rinse them and give them a quick sniff to make sure they smell better. Then we send them on their way—back to the same smelly pen that they were in before. And we wonder why, despite our best efforts, the sheep still don’t smell like roses. In reality, employees are nothing like sheep. They are individuals pursuing both a personal and a business agenda and using their abilities as best they can to negotiate a complex environment that either supports their activities or inhibits them. Or, more likely, supports in some ways and inhibits in others at the same time. The skill gap methodology is problematic because it presupposes that there’s just one thing missing and that once you have provided it, performance will improve. It further assumes that the missing component is located in the brain of the subjects rather than in the environment around them. When it comes to the complex endeavor of changing behavior, these are highly suspicious assumptions. In fairness, the skill gap model works if your performance challenge is actually a result of lack of knowledge. But it generally doesn’t work when performance improvement involves genuine behavior change, which is more often the case. To illustrate the difference, say you have a sales team that is quite competent at selling, but is now being asked to sell a new product with which they are not familiar. The team doesn’t need to change behavior. They just need new information to put into an already functioning behavioral template. Our “hammer” works quite well in this situation. We’re pretty good at increasing knowledge. But what if sales results on the whole are not up to expectations? Obviously, product knowledge isn’t enough to improve sales performance in this scenario. You need behavior change. You need a sales enablement program to improve the skills of your sales team, right? Identifying these external success factors requires you to put on a private investigator hat. It starts with getting a 360‐degree view of what’s going on by talking to a broad spectrum of people across multiple roles. Interview high performers. Interview low performers. Interview leaders. Interview customers. Build a rough model of how sales works in your organization and benchmark it against what your most successful competitors are doing. Once you have that context, you’re in a position to understand how employee skill gaps fit into the picture. Cleaning out smelly pens doesn’t fall under the traditional learning and development umbrella. If places us in the role of business consultants rather than learning specialists. Cleaning out smelly pens doesn’t fall under the traditional learning and development umbrella. If places us in the role of business consultants rather than learning specialists. It requires us to put down our learning hammer and use tools with which we may be far less comfortable and familiar. It requires that we become conversant with domain‐specific business issues in various parts of the organization. Although we won’t get to the deep expertise of the folks who do these jobs for a living, we do have the advantage of an outsider’s eye. And, if we do our investigative work well, we’ll have valuable information to contribute to a conversation about how to solve a particular business challenge and where employee skill development fits in. Of course, the deeper challenge is that having a broader business conversation about a performance gap requires an unusual level of trust between the learning and development team and business leaders. We can’t help clean the pen without first creating a culture that supports the type of partnership that allows us to say out loud that the pen is dirty—without it sounding like finger pointing. If we come in to a performance improvement conversation with an attitude of telling domain experts how to do their job, it will be a short conversation indeed. Creating a partnership culture and gaining the respect of business unit leaders takes time, effort and skill. Not every learning and development organization is able to make the transition. In fact, it happens about 25% of the time. 1 “Why Leadership Training Fails—and What to Do About It”, Harvard Business Review, October 2016.